Living in central Florida has many benefits, the primary for me being the weather. 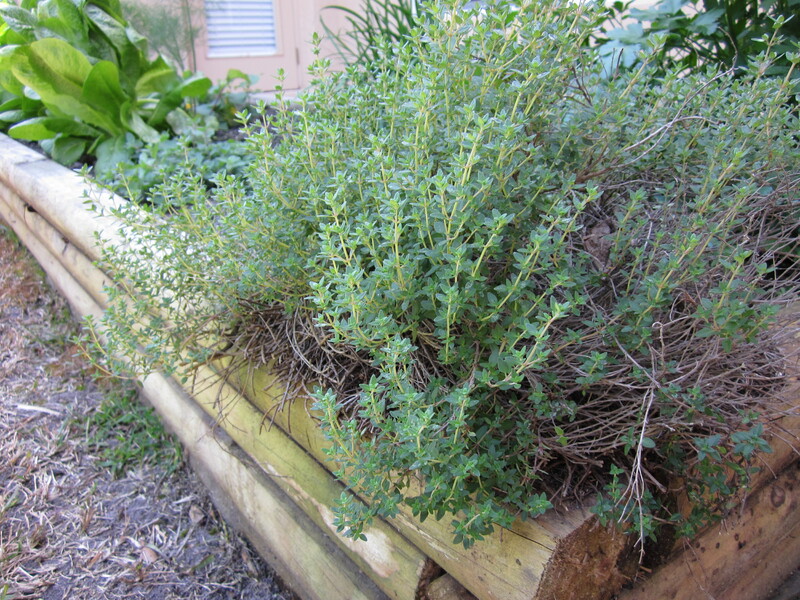 That weather has given us the opportunity to grow a number of our own fresh herbs for use in our cooking. 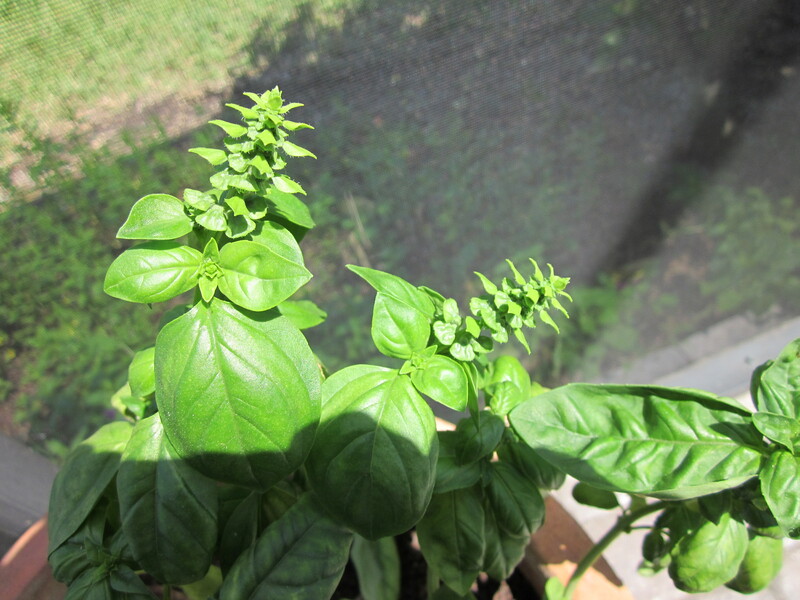 It started with a little pot of basil, which became a bigger pot of basil, which went back to a smaller pot when the second batch wilted in the scorching summer heat. One of the lessons we learned there is that the time of year determines where we keep any of the herbs in portable containers, the basil currently being the only one. The basil is currently in the back corner of the lanai, out by the spa. 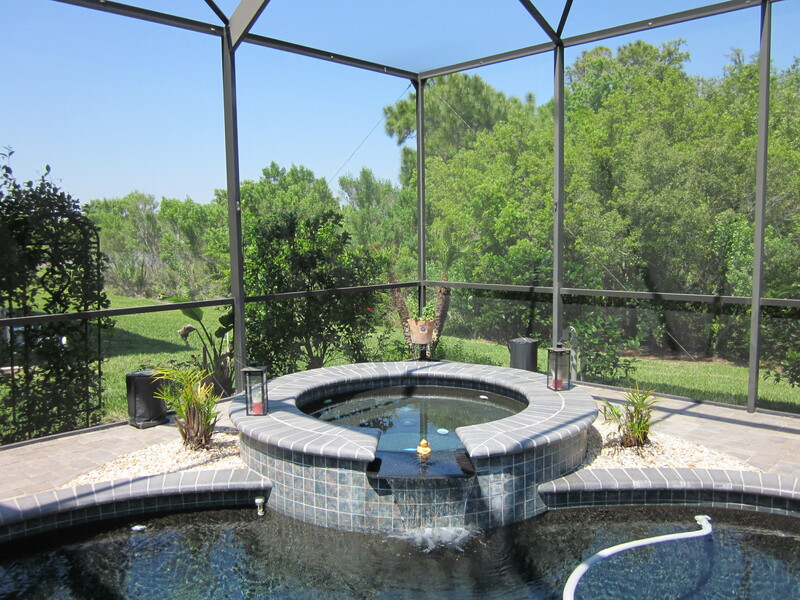 This time of year, the sun is right out there, it gets enough rain, and we have the added benefit that it smells great when we get in the spa. There are few aromas as enchanting as fresh basil, and every time we get into the spa, I make sure I bruise a leaf or two just to generate that great smell. With the success of the basil, we planted some mint, tarragon, and rosemary outside the screen. We also tried a few other things—like a pineapple and some tomatoes—but some of the four-legged life crept out of the conservation area and chomped on it. The herbs have flourished. In fact, the mint has gone completely wild and taken over that entire corner right on the other side of the basil pot. 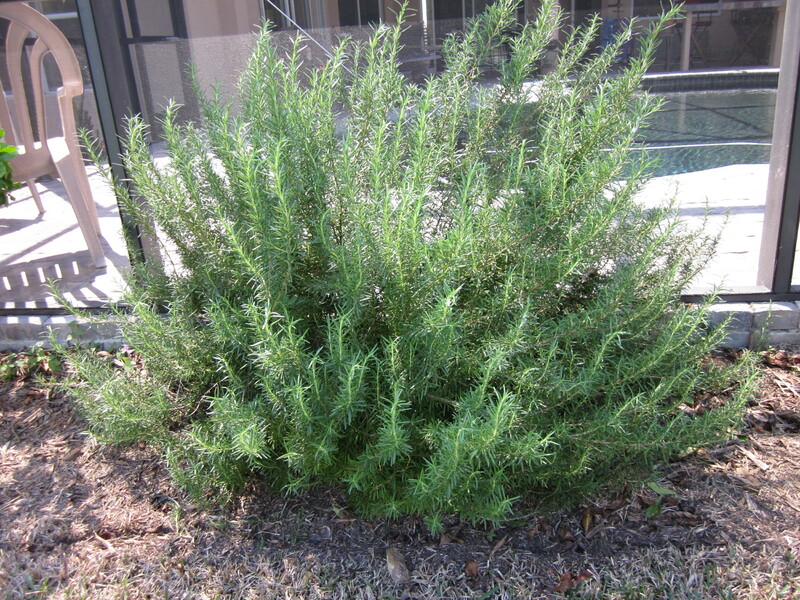 The rosemary bush has done well enough that there’s no way we can use it all. We cook with it and give away a fair amount, but the bush keeps going and going. The tarragon is also rather robust, but unlike the other two, hasn’t gotten completely out of hand. Annoyed by the armadillos or wild pigs (yep, wild pigs) eating the tomatoes, The Rocket Scientist suggested a raised bed. I wondered how putting the bed a few inches off the ground would help, and she said ‘you’d be surprised.’ I’m all about asking an expert, so we talked to our neighbor Joe, who owns a landscaping service (which maintains our lawn) about the feasibility. He confirmed that the raised bed would keep away most of the critters. For a resonable price, he put a 4×8 bed right under the family room window. We’ve planted parsley, cilantro, fennel, beets, leeks, peppers, and all manner of other things in that bed. Some of worked, some haven’t. 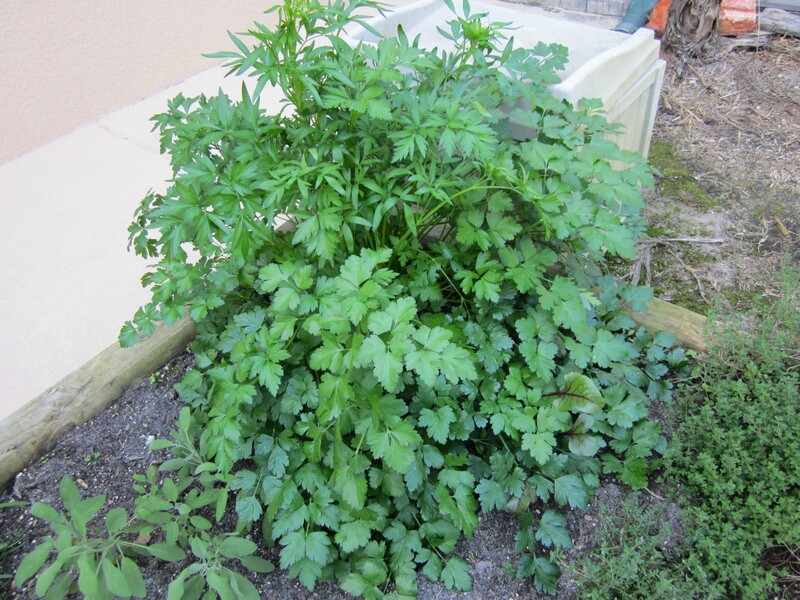 The parsley is doing quite well, as is the thyme. There’s currently a fresh crop of chives growing in there as well as some nice sage. 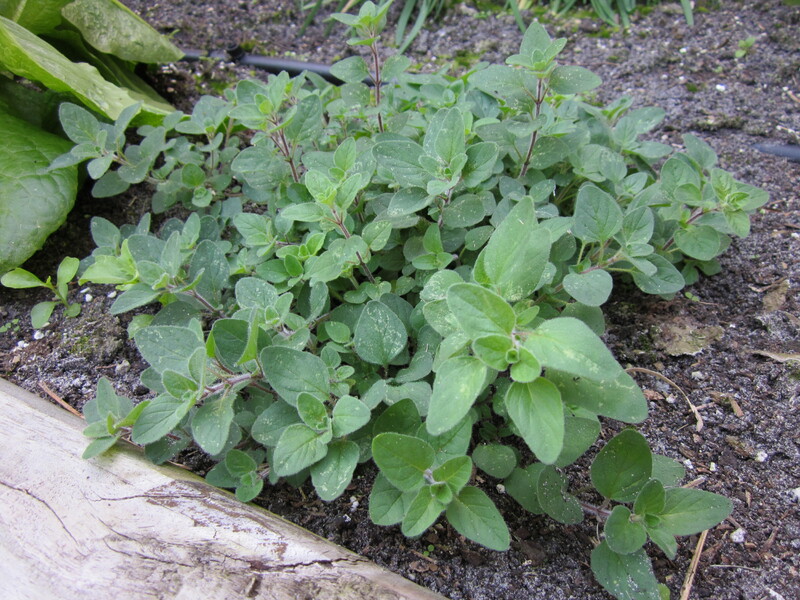 We’ve just put in a new oregano plant, which is doing fine. The cilantro has gone to seed, which means a new plant in our future. So successful was the raised bed that we asked Joe to add another one, wrapping around the rest of that side of the house. He obliged us with another 30 or so feet of bed into which we’ve planted several different kinds of tomatoes—which have mostly avoided getting chomped on—kale (the first crop of which we gave to a neighbor; they said it was pretty tasty), radishes, peppers, carrots, and onions. I’ll talk about the vegetables at some point in the future. As the vegetables grow, we’re thoroughly enjoying the herbs. There have been times we’ve looked out the back window, decided we liked the way one or more of them were looking and decided to make a dish to feature them. Insalata caprese is a no-brainer when you have fresh basil. The rosemary will find itself stuffed into a chicken destined for the rotisserie. Cilantro obviously goes into guacamole. We can’t boil a potato without cutting some chives, and of course oregano is a staple in the Italian cooking that often happens here. 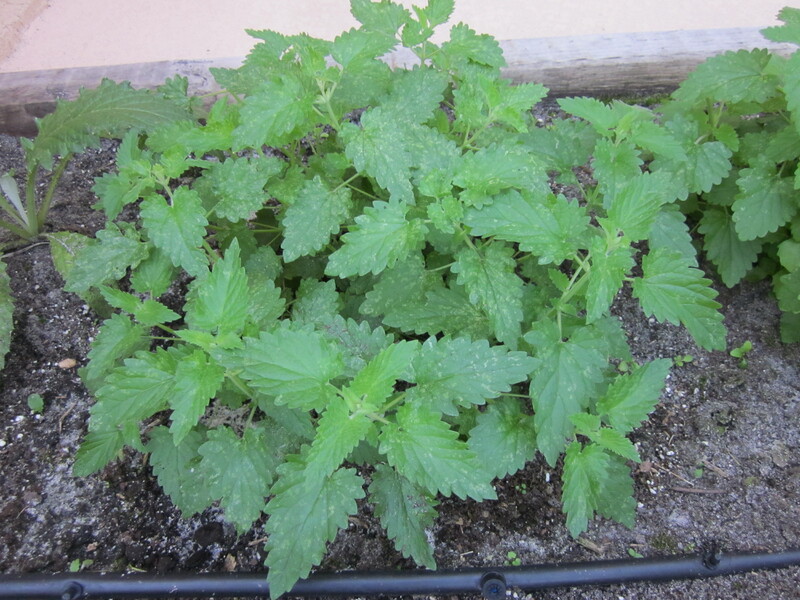 Always wanting to take care of our cats Dasher, Cupid, Comet, and Vito, we had planted some catnip outside the screen. It turned out to grow even more crazily than the mint. We moved it into the bed to hopefully limit its growth somewhat, an experiment that has so far proved successful. Tomorrow, I’m going to talk in some detail about one of our favorite uses for mint. This entry was posted in Food We Make and tagged Basil, Florida, Herbs. Bookmark the permalink.